Related links to "Nuclear Death Terror - Blood Fire Chaos Death Pic.-LP"
Hailing from Denmark's capital city of Copenhagen, death-crust quintet NUCLEAR DEATH TERROR have waged war on the world with their tales of despair, human atrocities and man-made Armageddon since 2003. 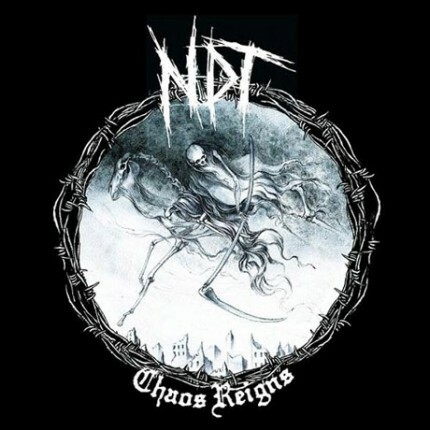 2012 sees the unit hooking up with Southern Lord for the release of Chaos Reigns, a CD compilation of ten crushing tunes from several of the band’s vinyl only releases. The band’s metallic crust-punk coalesces elements of Tragedy, Discharge, Doom, Amebix and even some Slayer into a thunderous, pissed-off brew.